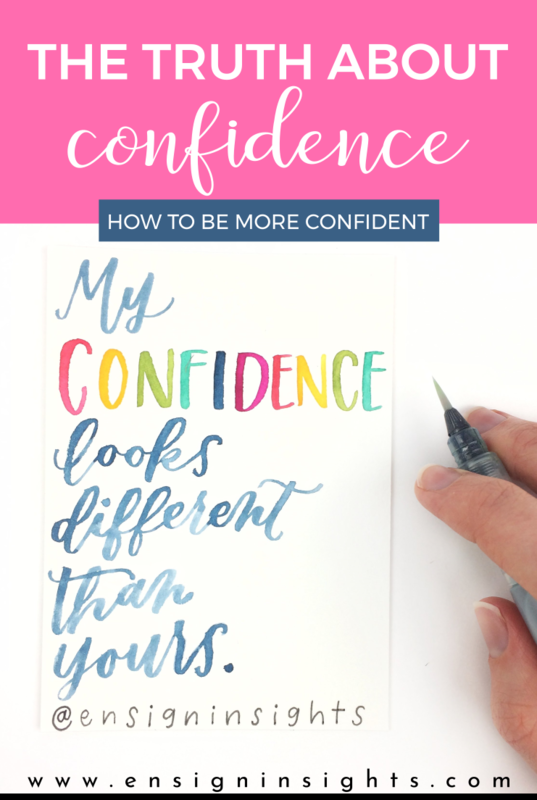 The truth about confidence might change your whole perspective on what you currently know. You may already have a belief on whether or not you’re a confident person. 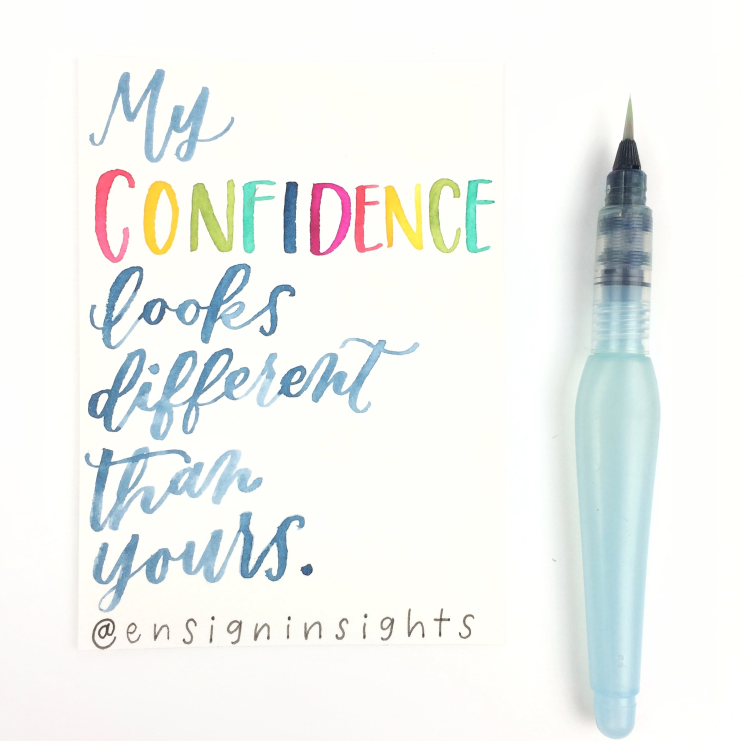 But are you ready to hear this simple truth about confidence? Here is the YouTube video I made for this week’s Creatively Confident Series. Here it is. 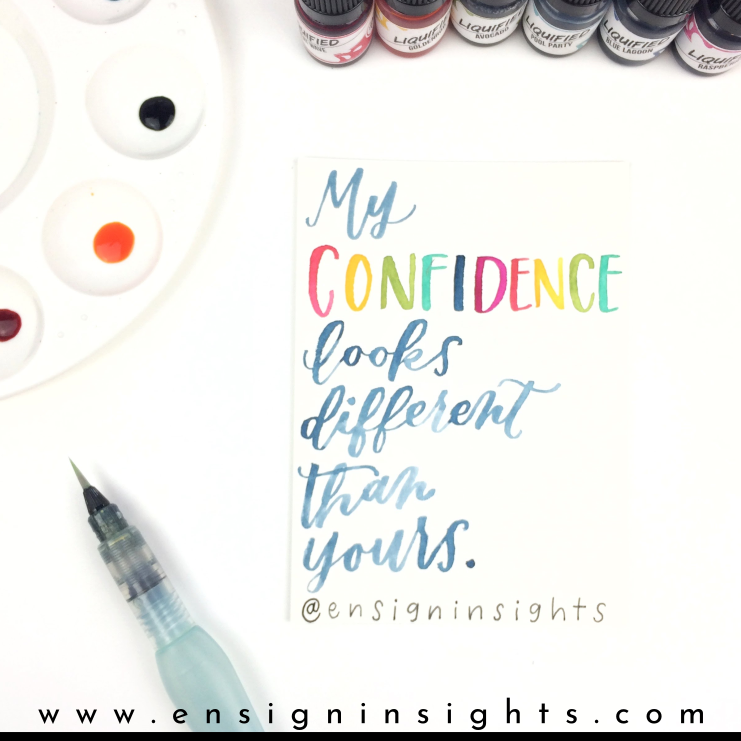 The truth about confidence… It’s as simple as this: My confidence looks different than yours. Wait, what does that mean? Exactly that. When I’m living my most confident self, this is going to look different from your most confident self. Ok, that seems obvious, we’re different people. But when we really look at it, it’s not that obvious. Think about the word “confident.” Now think of a person that you would describe as confident. You may be thinking of someone who is really talkative, bubbly, or friendly. Oftentimes, this is how we would define a confident person. In many cases those people are confident, but not always. Sometimes the more confident person is the one quietly observing everyone. So which way is the right way to be confident? That’s just the thing! It’s going to look different for everyone! 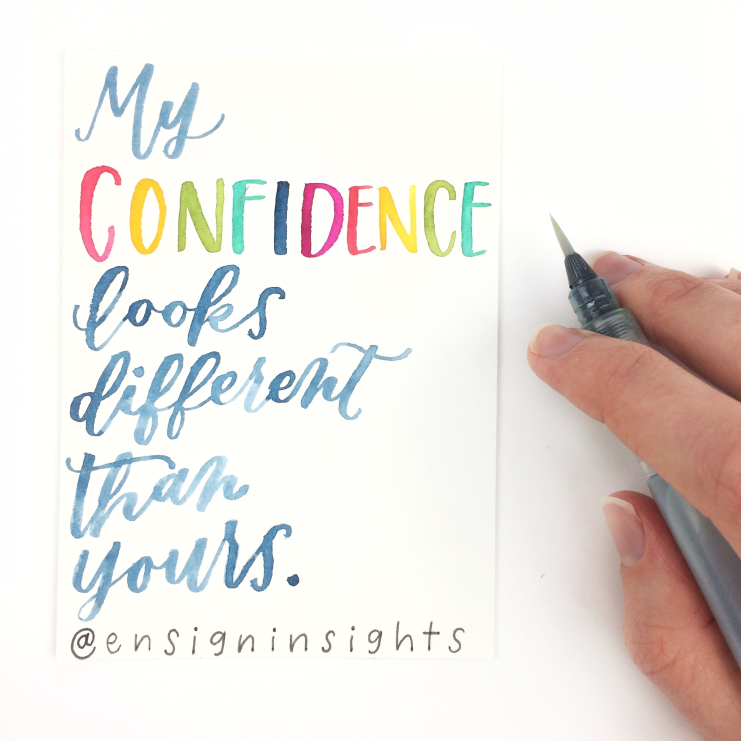 Confidence is defined by the Google dictionary as “a feeling of self-assurance arising from one’s appreciation of one’s own abilities or qualities.” The truth is that my abilities are different than your abilities. If I changed myself to act a certain way so that I could be what I thought was “confident,” it wouldn’t work. When I was little, I was shy and quiet. I’m using the definition of shy that is “fear of social judgement.” I would get nervous around people. But as I got older, I grew out of that and I started realizing that I was just a person with a quiet voice who didn’t need to say a lot of extra words. People would call me shy a lot and it drove me crazy. First of all, how does it help me to tell me I’m shy? It would only hurt me feelings. Shy can hurt us if it keeps us from living our true self. But I didn’t actually feel shy. I just didn’t have a lot to say. But because everyone was telling me I was shy, it was really hard to break out of that and feel confident in who I was. Luckily I was a very observant person. In high school I started noticing that some of the kids who looked “confident” who were really loud and talkative, didn’t always love themselves. They actually looked pretty insecure to me. When I actually liked myself quite a bit. But I was never the life of the party. As I continued to ignore people calling me shy and started to live the way that felt the best to me, I made a lot of friends. Because I actually love connecting with people and meeting new people. When I’m with one or two people, I could talk to them for hours. But when I’m in a room full of people, I don’t want to be the center of attention. That’s not my confident. Sometimes we can think that only extroverts are confident when actually there are a lot of introverts who are just as confident or more than extroverts. It’s an individual thing, feeling self-assurance in one’s own abilities. Our abilities are just different. I sometimes consider myself an extroverted introvert because I love connecting with people. It fuels me. But I also really like being by myself. It also fuels me. I’m not going to go deeper into extroverts vs. introverts right now but if you want to watch a fascinating Ted talk about it, watch this. All those years, if I listened to the people telling me that I was shy growing up, I may never have made all of the relationships that I’m so grateful for today. I may not have tried so many new things and gone so many new places. Confidence is accepting yourself as you are, not as you think you’re supposed to be or what people say about you. When you use the talents that you have right now, you will continue to grow and get better in those unique talents and you will be able to gain new talents and skills. Being confident in yourself doesn’t mean that you are automatically good at everything. But being confident in your abilities can help you as you try and learn new things, knowing that you have the ability to improve. 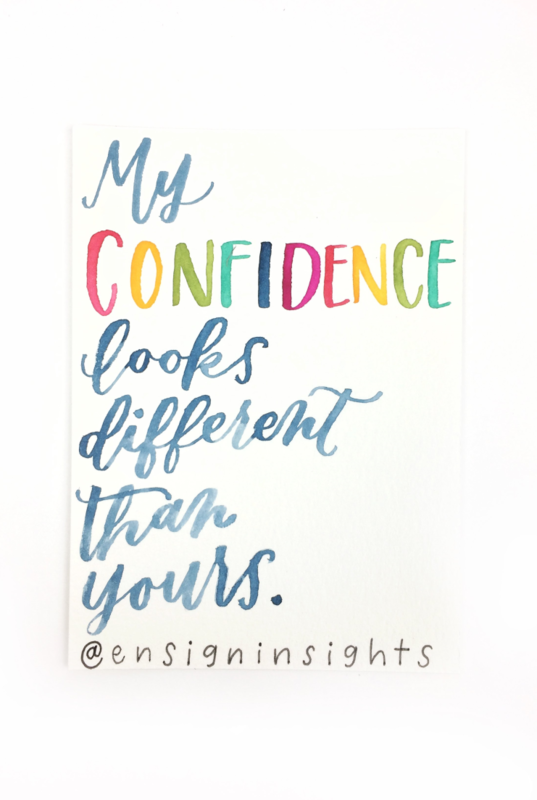 So today I challenge you to be YOUR confident, even if that looks different than someone else.